ESV Big Picture Bible by English Standard was published by Crossway (USA) in July 2015 and is our 9098th best seller. 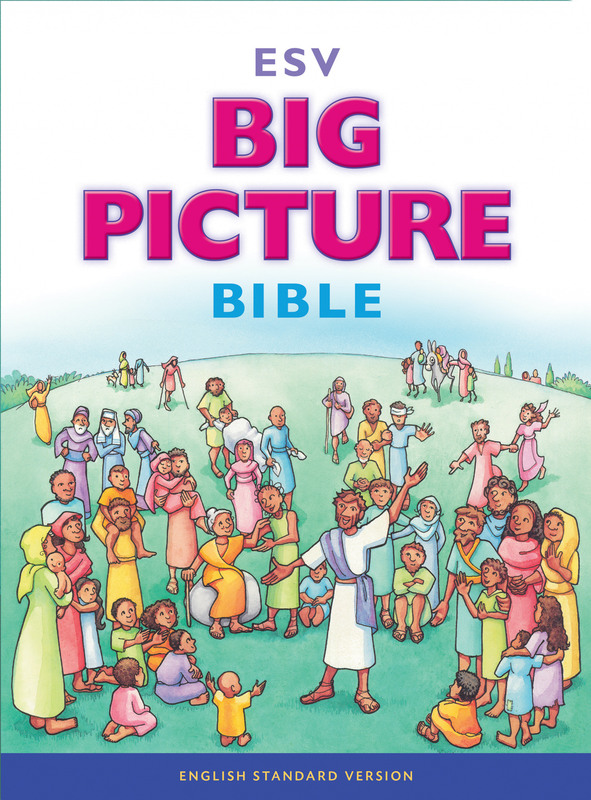 The ISBN for ESV Big Picture Bible is 9781433541346. Be the first to review ESV Big Picture Bible! Got a question? No problem! Just click here to ask us about ESV Big Picture Bible. I am looking for a "first proper Bible" for my grandaughter aged 6. Does this contain all the Bible text? Also does it have pictures of angels with wings? A:Yes, this is a complete Bible. I have added a sample of the Bible to the page, that you better see how the Bible is presented. Thank you for using the Q&A Forum.